SKU: LTT1SG. 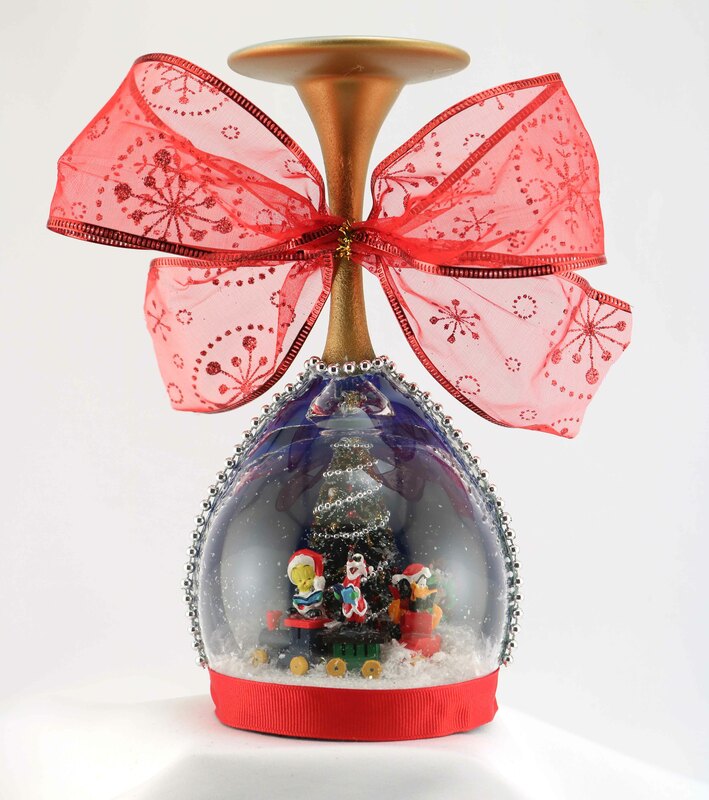 Category: Snow Globe Candle Holder. 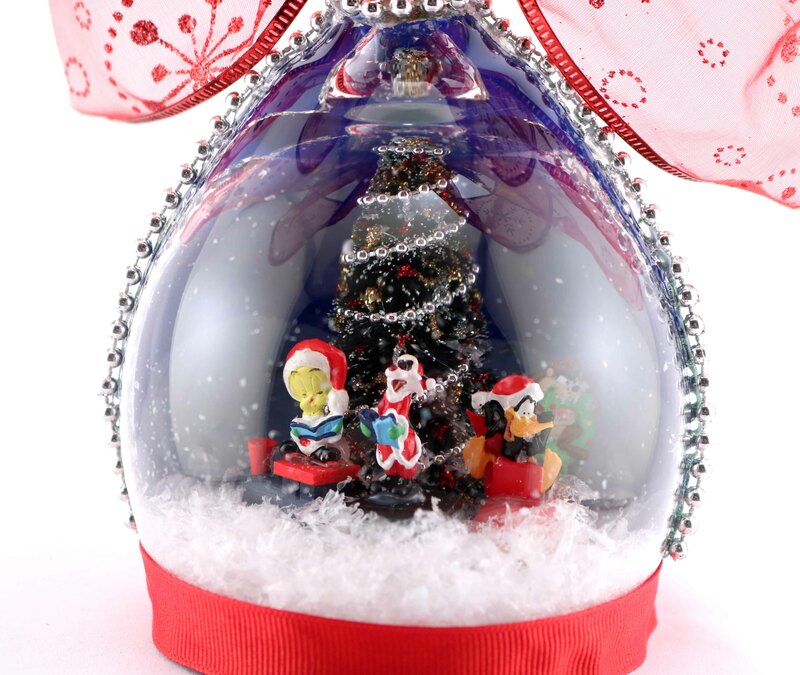 Tags: Candle Holder, Christmas Snow Globe, Christmas Snowglobe, Daffy Duck, Loony Tunes, Snow Globe, Sylvester, Tasmanian Devil, Taz, Train, Tweety Bird, Wine Glass, Wine Glass Candle Holder, Wine Glass Snow globe. Two other variations have other characters. 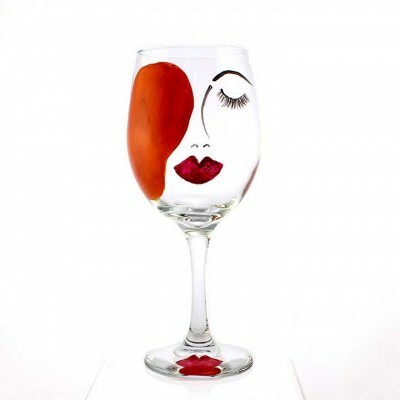 Unique hand made snow globe using a wine glass. 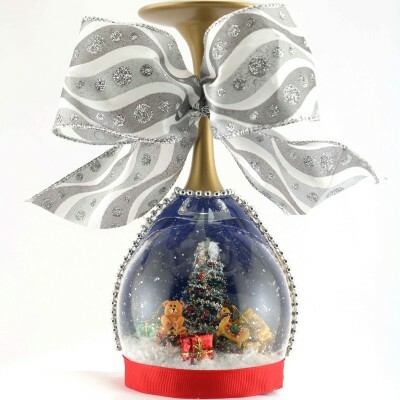 Each snow globe is individually made, making yours one of a kind. 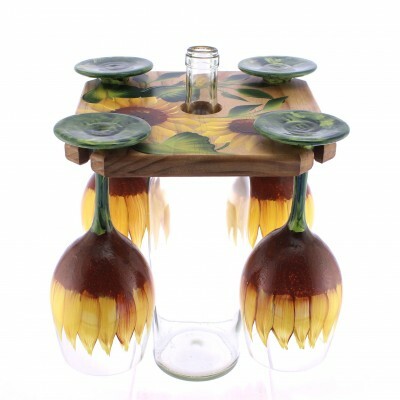 Purchase two different ones and display as part of your table centerpiece. I will make sure the trim and bow match if you order two or more. 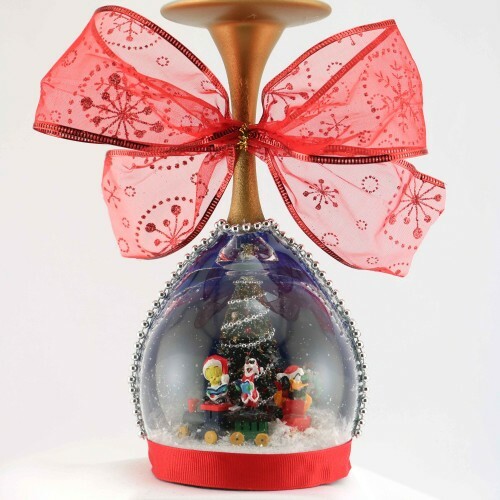 There is no liquid in these snow globes. 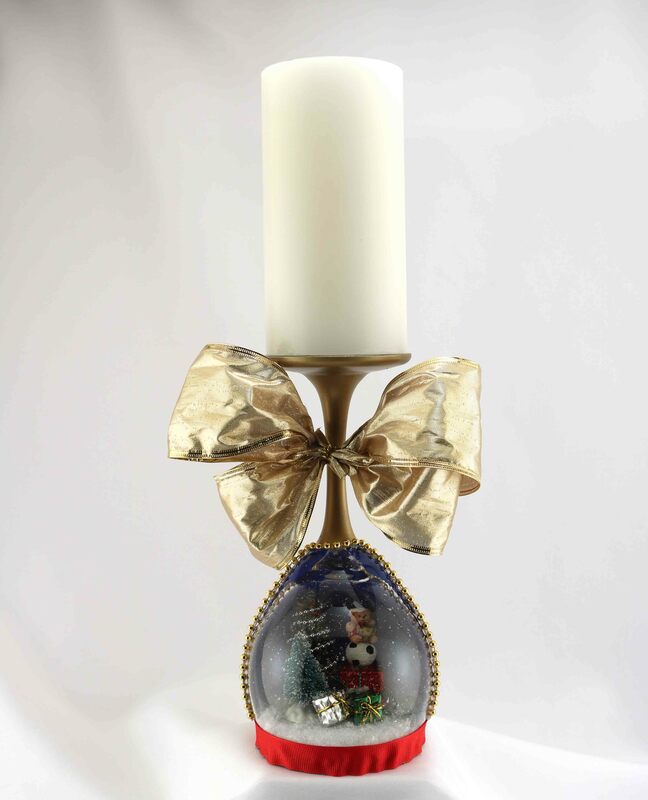 Bows, accent trim and gift packages will vary and may or may not match those shown in the photos. NOTE: My site automatically adds $8.00 for shipping. But don’t worry, if you order two or more and the shipping is less, I will refund the difference.